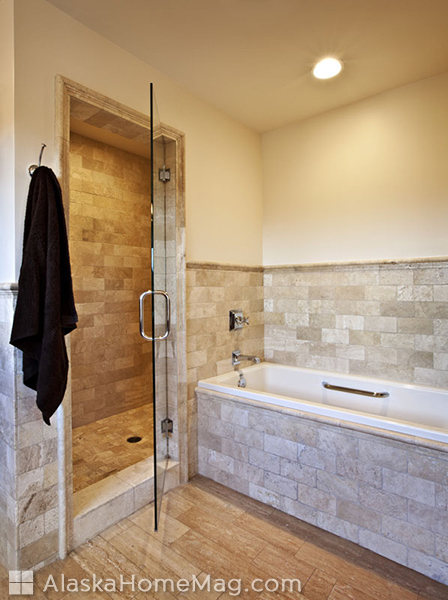 (Bath)Room for improvement Dr. Katie Julien and Steve McKean's master bath was a blank canvas in desperate need of an infusion of color and style. 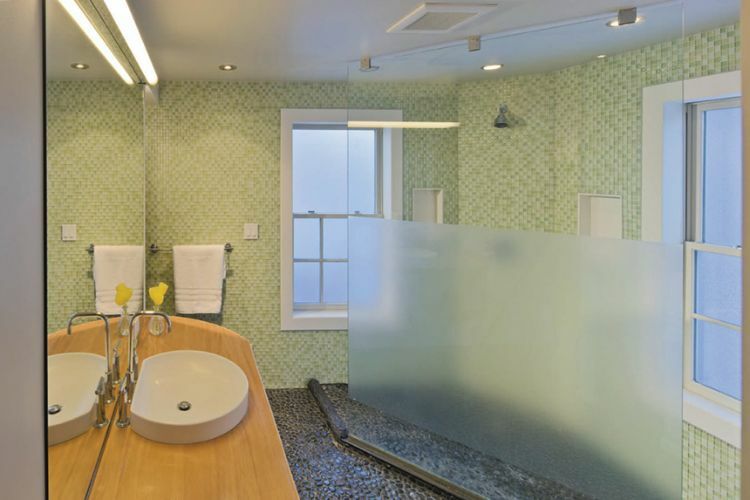 Despite a functional layout and features, the bathroom's run-of-the-mill fixtures and finishes didn't fit the homeowners' more modern, sophisticated taste. 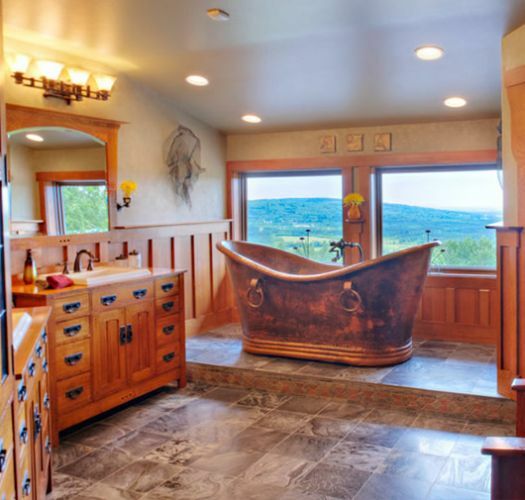 An Arts and Crafts revival Inspired by a hammered copper tub they found while on a fishing trip in Texas, Beverly and Roger Floerchinger incorporated their love for the Arts and Crafts style to remodel their once pretty-in-pink master bathroom. 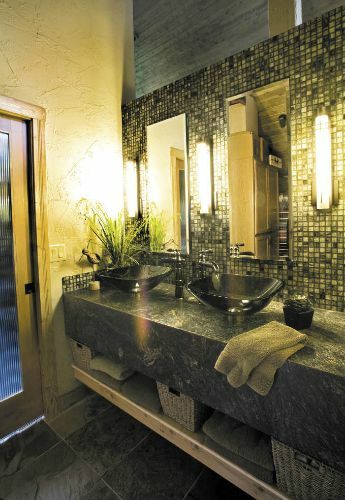 Asian-inspired oasis When Jim and Victoria Clark set out to update their home, they targeted one of the most commonly overlooked rooms-the guest bathroom. 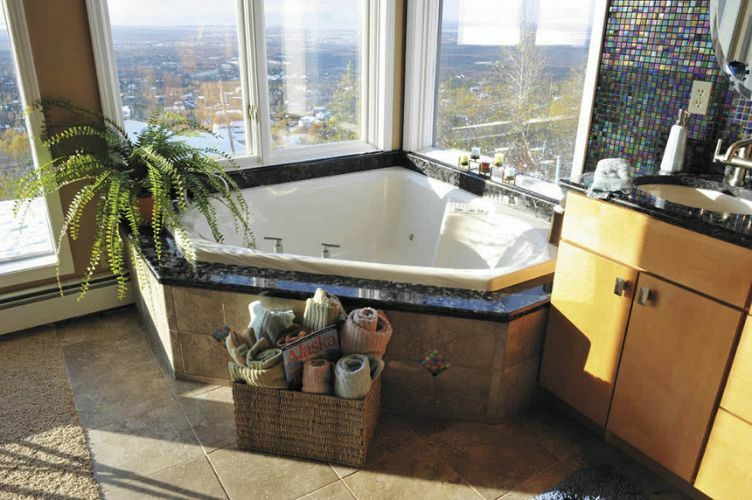 European escape The master bathroom of this 1985 home was fashionable when it was built, but as the homeowners evolved, so di the need for a new and improved bathroom. 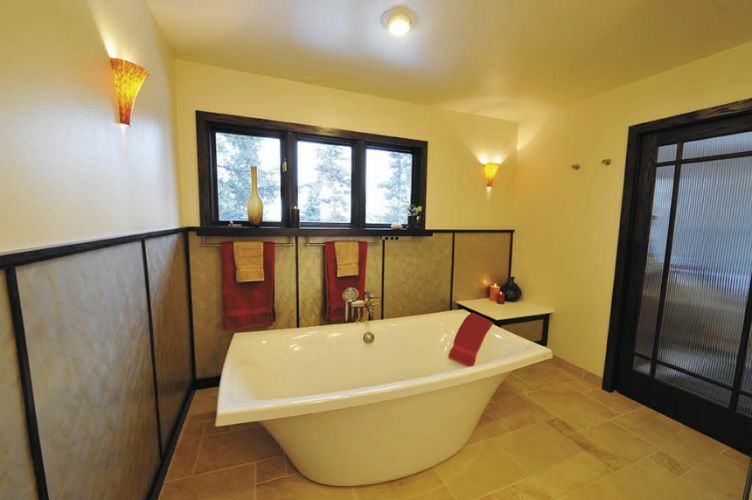 High ceilings, higher hopes When Jennifer and Kyle Johnson sought to renovate their entire home in 2010, they had high hopes for improving their master bathroom – literally. 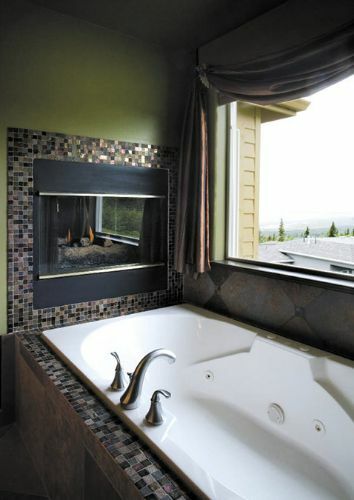 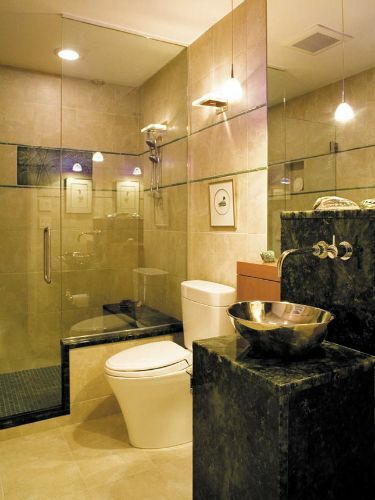 Inspiring bathroom remodels Suzanne Hueners knew that she wanted to undertake a bathroom redesign. 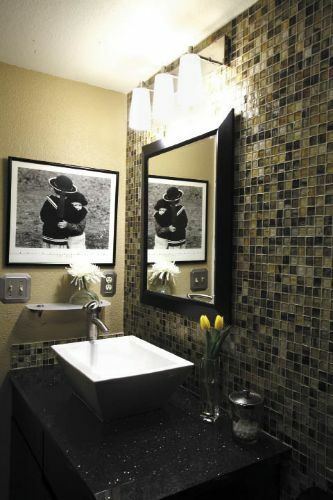 But it wasn't until she was staying at the Seattle Marriott Waterfront hotel on vacation that she stumbled on her ideal bathroom, complete with wall of striking glass tile. 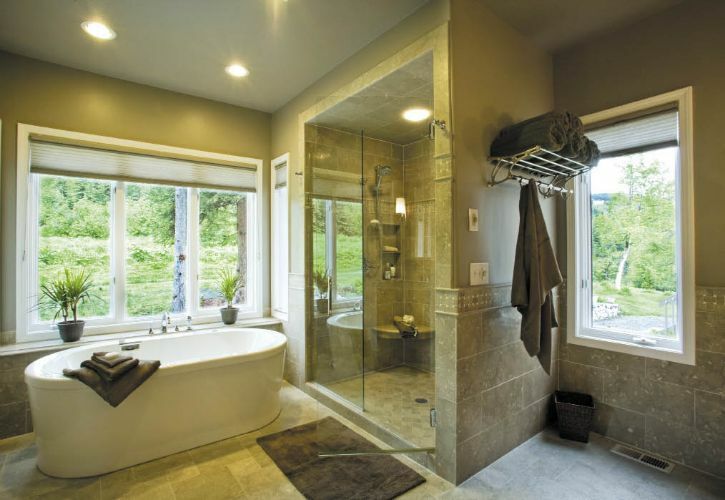 Modern makeover When Renee and Alex Wardlow* bought their 1940s duplex in the South Addition neighborhood of downtown Anchorage they had a clear vision: combine the two halves into a modern and space-efficient single family home. 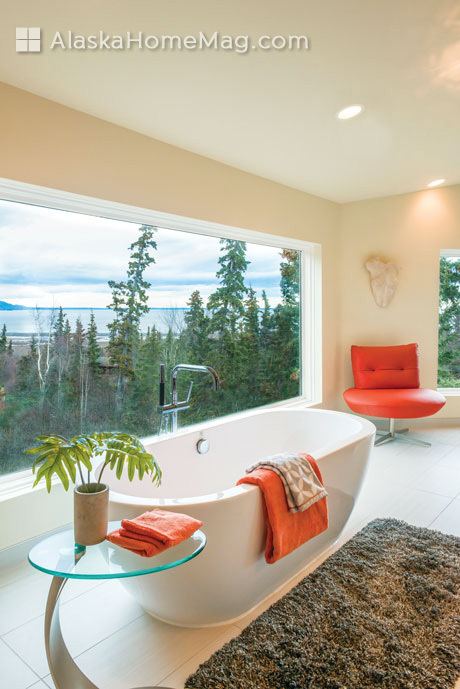 Room with a view When Annette Coleman decided to renovate her master bathroom, she already had the advantage of a stunning exterior view of the city, mountains and Cook Inlet.